The Case of the Scrupulous Pawnbroker clocks in at 2 pages and is a mini-dungeon. 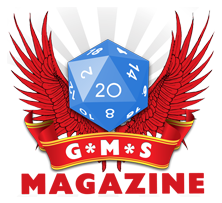 This means we get 2 pages content, including a solid map and all item/monster-stats hyperlinked and thus, absent from the pdf, with only deviations from the statblocks being noted for the GM. Oh, and the series now comes in an archive that also contains…*drumroll* a .jpg-version and a .tif-version of the map! Yeah, that’s pretty amazing! The dungeon’s number-less version of the map doesn’t sport any deceptive trap icons or traps – kudos, though the place where the secret doors are can still be gleaned by proximity…but if you conceal that part, it works well. In short: Full, proper VTT-support and help for guys like yours truly that can’t draw maps. On the other hand, it could have benefitted from a short tactics-section for the adversaries if the PCs e.g. call the watch- a couple of lines would be there to warrant it and this may very well turn into a kind of hostage situation – bartering is a quite possible notion for the PCs and since the foes use the pawnbroker’s traps to their advantage, one can see the potential of the writing here. It is pretty obvious that, for once, we could have used some Intimidation, Deception, etc. – and we get nothing like that; much like most of these mini-dungeons, Perception, Investigation and thieves’ tools are the main non-combat options used.